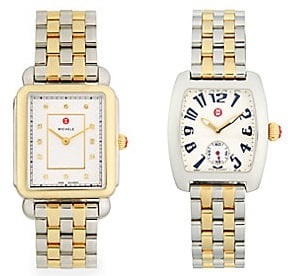 Ted Baker London Watches (Men’s & Women’s) From Only $59.97 From NordstromRack! 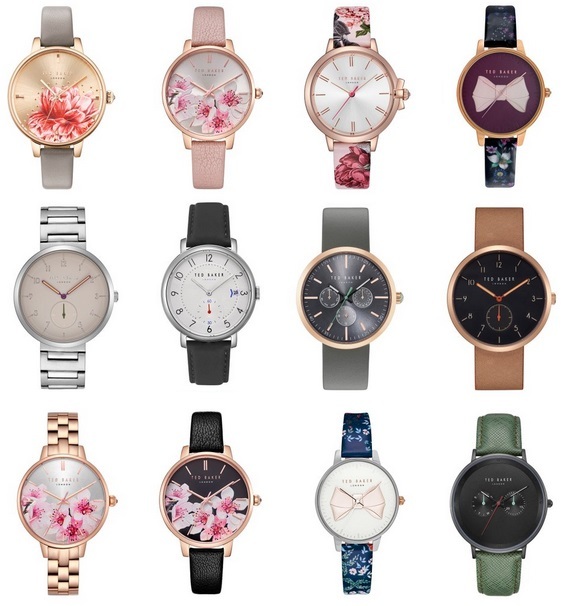 NordstromRack is running a Ted Baker London Watch Sale with watches from only $59.97! 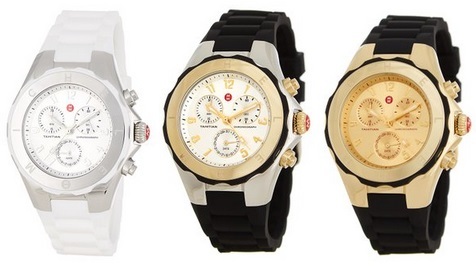 Get 2 MICHELE Cape Topaz Silicone Strap Watches For Only $260 + Free Shipping (Only $130 Each)! Through today, Neiman Marcus Last Call is offering Buy One Get One Free on entire site with coupon code: FREEBIE at to your cart. 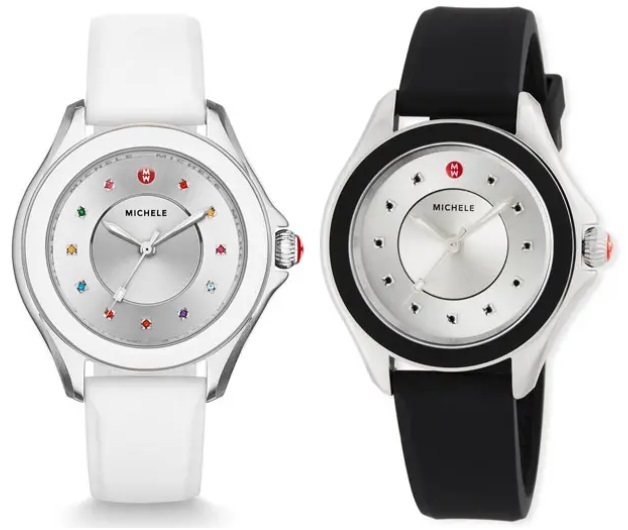 The MICHELE Cape Topaz Watch with Silicone Strap (in white or black) for $260, so if you buy 2 it will be only $130 each! Bulova Watch Sale On HauteLook – From Just $69.97! HauteLook is running a Bulova Watch Sale! 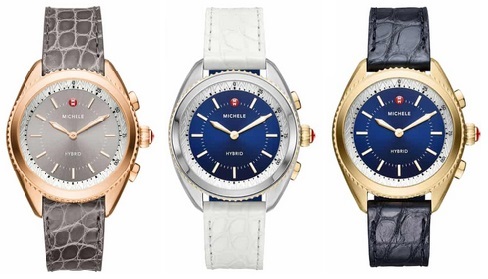 Hurry – Michele Watch Sale On NordstromRack – Up To 83% Off!! Hurry, these always sell out super fast! 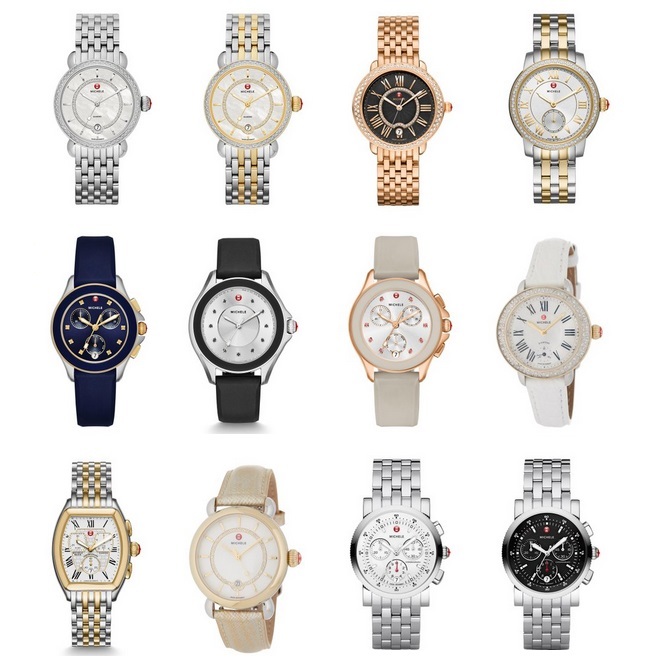 NordstromRack is having a Michele Watch sale, with up to 83% off!!! Michele Stainless Steel & Diamond Bracelet Watch Only $587.50 / Logo Seven-Link Stainless Steel Bracelet Watch Only $487.50 + Free Shipping! Saks Off 5th has the Michele Stainless Steel & Diamond Bracelet Watch marked down to $647.50, plus add coupon code: WOMENS to your cart to bring the price down to only $587.50! 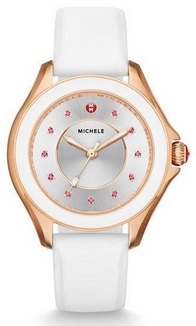 Saks Off 5th also has the Michele Logo Seven-Link Stainless Steel Bracelet Watch marked down to $547.50, plus add coupon code: WOMENS to your cart to bring the price down to only $487.50! Get free shipping on orders of $99 or more with coupon code: SHIP99 added to your cart. As one of today’s Amazon Deals of the Day save on Men’s and Women’s Akribos XXIV and Burgi Watches. 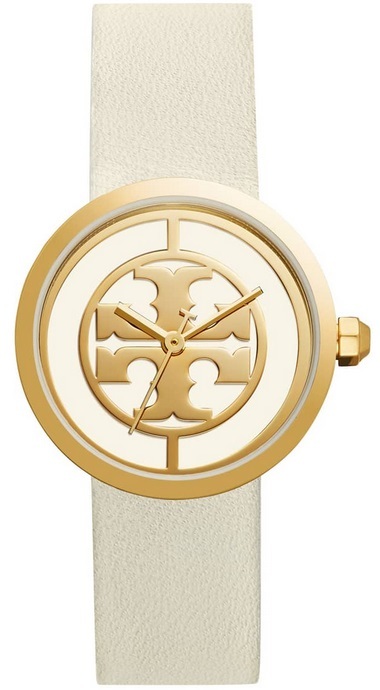 Nordstrom has the Tory Burch Reva Logo Dial Leather Strap Watch, 36mm marked down to only $135 + Free shipping. Today Only – Save Up To 40% Off Select Mens & Womens Bulova, Skagen, Invicta, Michael Kors, & Other Watches! Today only Amazon is offering up to 40% off select men’s and women’s Watches! 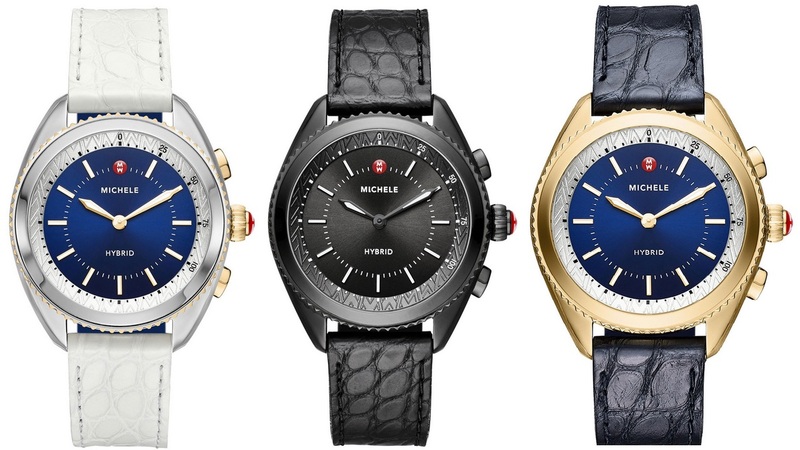 Neiman Marcus has these MICHELE 38mm Hybrid Smartwatches marked down to only $237.60 + Free shipping. Features fitness tracker, Bluetooth®, haptic vibrations, etc. Connects to Android OS 4.4+, iOS 8+/iPhone 5+. 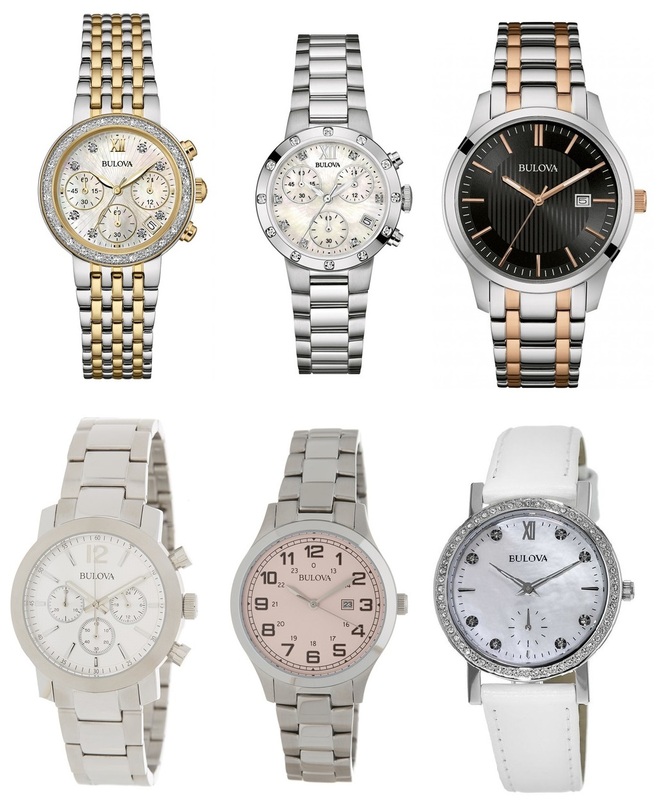 Save 50% Off Michele Watches – Now From $147.50 + Free Shipping! 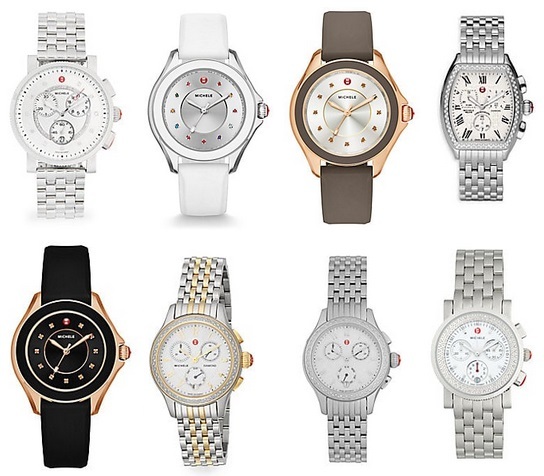 Saks Off 5th has Michele Watches on sale for 50% off – Prices now from $147.50! Plus get free shipping on order of $99 or more with coupon code: SHIP99 added at checkout. Amazon Lightning Deal: Burgi Women’s Swarovski Crystal & Diamond Accented Leather Strap Watch Only $33.14 + Free Shipping! 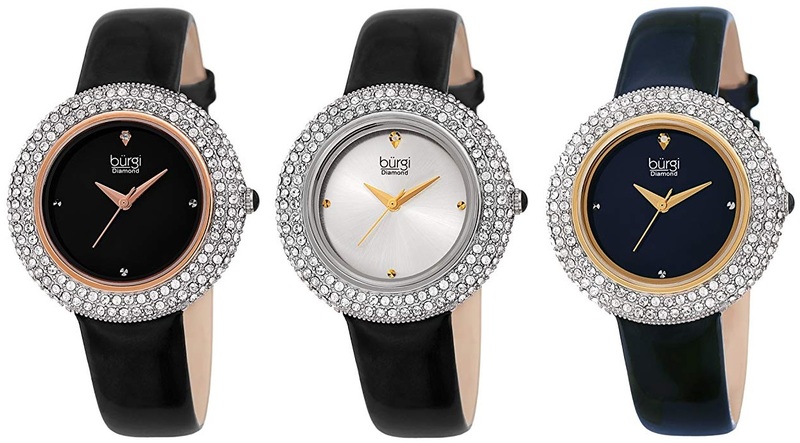 The Burgi Women’s Swarovski Crystal & Diamond Accented Leather Strap Watch (available in 5 colors) is currently marked down to $33.14 + Free shipping as a Lightning Deal on Amazon – Only limited quantity available! LUXURIOUS STYLE – Slim polished case completely encrusted with sparkling crystals! UNCOMPROMISING PRECISION – Highly accurate quartz movement for unparalleled reliability and battery life. VISIBLE DIFFERENCE – Simple dial configuration with one genuine diamond marker at 12 o’clock. RESOLUTE QUALITY – Stainless steel case back ensures maximum protection for the sensitive movement. HIGHLY RELIABLE AND PRESENTABLE – Glossed genuine leather strap that matches the dial color! 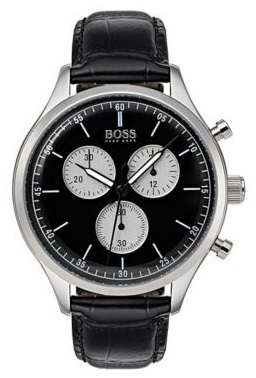 Hugo Boss Men’s Companion Stainless Steel Leather-Strap Watch Only $110.49 + Free Shipping! Lord & Taylor has the Hugo Boss Companion Stainless Steel Leather-Strap Watch for only $110.49 + free shipping! 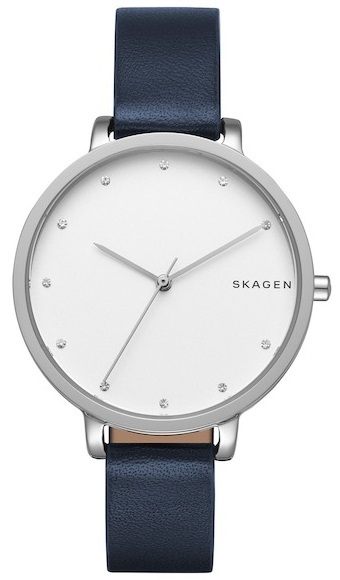 NordstromRack has the Skagen Men’s Leather Strap Watch marked down to only $52.48. 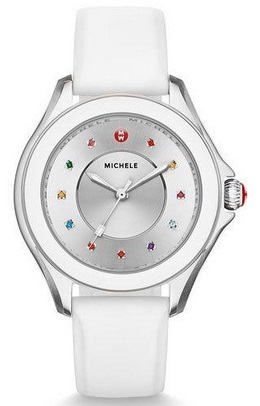 Michele Tahitian Jelly Bean Silicone Strap Watches Only $127.48 – $149.98 + Free Shipping! NordstromRack has these Michele Tahitian Jelly Bean Silicone Strap Watches marked down to only $127.48 – $149.98 + Free shipping! Neiman Marcus Last Call has the MICHELE Cape Topaz Watch with Silicone Strap, White marked down to only $134.75! 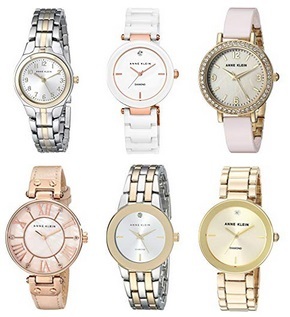 Amazon Deal Of The Day: Save Up To 65% Off Anne Klein Women’s Watches – From $28.99 + Free Shipping! Today only Amazon is offering up to 60% Anne Klein women’s watches! Raymond Weil Toccata White Dial Stainless Steel Men’s Watch Only $201.18 + Free Shipping! Walmart has the Raymond Weil Toccata White Dial Stainless Steel Men’s Watch marked down to only $201.18 + Free shipping! Minute markers around the rim. Date window at the 3 o’clock position. Quartz movement and water resistant up to 50 meters. Women’s Two Tone Leather Strap Watch Only $54.99 + Free Shipping! TJ Maxx has this Women’s Two Tone Leather Strap Watch for only $54.99 + Free shipping. 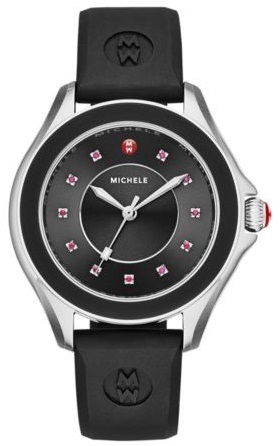 Saks Off 5th has the Michele Cape Stainless Steel & Silicone-Strap Watch marked down to only $147.50 + Free shipping. 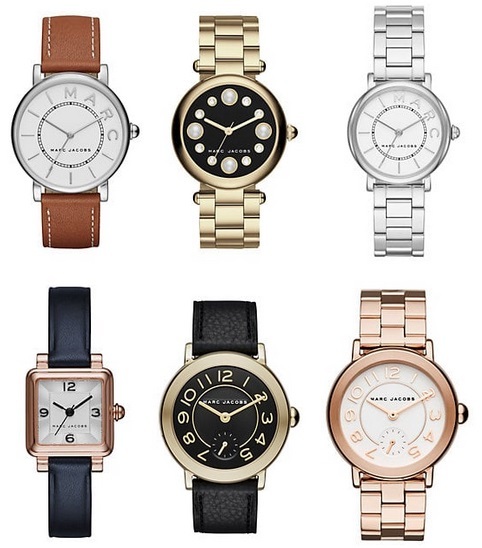 Marc Jacobs Women’s Watches From Only $53.99 + Free Shipping From Lord & Taylor! 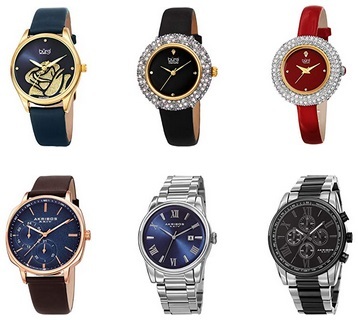 Lord & Taylor has Marc Jacobs Women’s Watches from just $53.99! 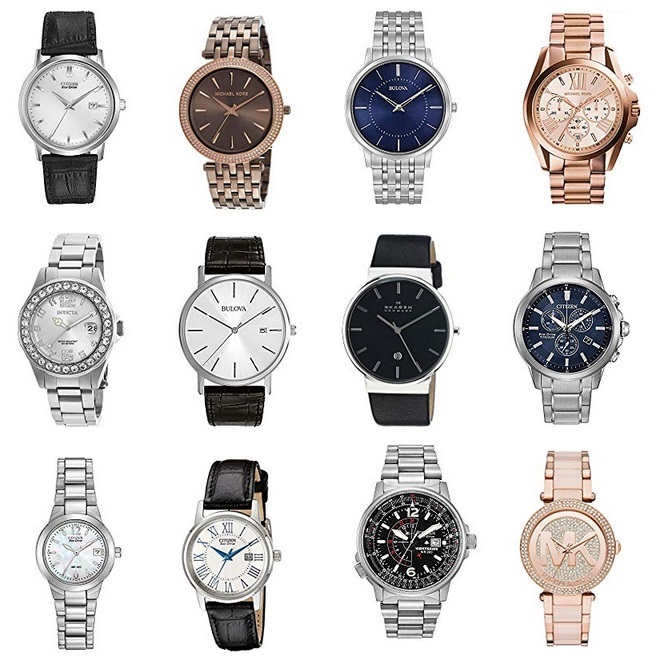 Lord & Taylor is currently offering Free shipping on purchases over $49, so these watches will ship for free! • Marc Jacobs Classic Stainless Steel and Leather Three-Hand Strap Watch – Only $53.99 + Free shipping! • Marc Jacobs Riley Yellow Goldtone Stainless Steel Watch – Only $62.99 + Free shipping! • Marc Jacobs Classic Stainless Steel Three-Link Bracelet Watch – Only $71.99 + Free shipping! • Marc Jacobs Vic Rose Goldtone Stainless Steel and Leather Three-Hand Strap Watch – Only $71.99 + Free shipping! 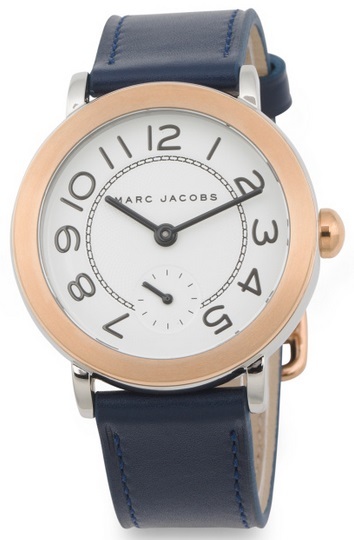 • Marc Jacobs Riley Goldtone Stainless Steel & Leather Strap Watch – Only $71.99 + Free shipping! • Marc Jacobs Riley Rose Goldtone Stainless Steel Bracelet Watch – Only $80.99 + Free shipping! 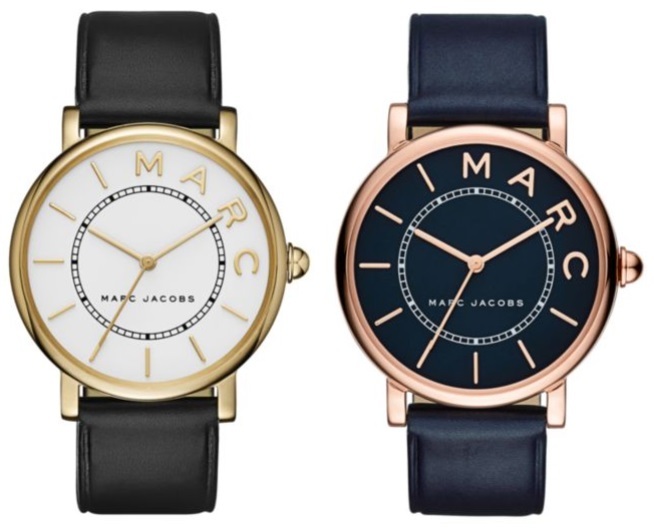 Marc Jacobs Classic Stainless Steel and Leather Strap Watch Only $35.99 From Lord & Taylor!! Lord & Taylor has this Marc Jacobs Classic Goldtone Stainless Steel and Leather Strap Watch, or the Marc Jacobs Classic Rose Goldtone Stainless Steel and Leather Strap Watchmarked down to only $35.99!! MICHELE Hybrid Tracker Smartwatch Only $296.98 + Free Shipping (Reg. $495)! Nordstrom has the MICHELE Hybrid Tracker Smartwatch, 38mm marked down to only $296.98 + free shipping ($495)! MICHELE Urban Mini 16mm Stainless Steel Bracelet Watchband Only $119.98 + Free Shipping!! UPDATE: This is for the band only!!! Nordstrom has the MICHELE Urban Mini 16mm Stainless Steel Bracelet Watchband marked down to only $119.98 + free shipping!! TJ Maxx has this Men’s Leather Strap Watch for only $49.99 + Free shipping. Today Only – Up To 60% Off Select Mens & Womens Citizen Watches From Amazon! Today only Amazon is offering up to 60% off select men’s and women’s Citizen Watches! 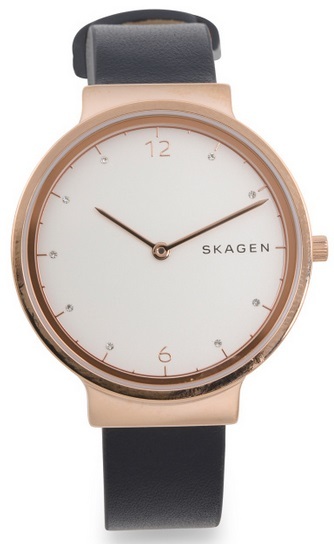 NordstromRack: Skagen Women’s Quartz Leather Strap Watch Only $50.75! 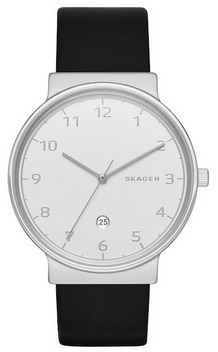 NordstromRack has the Skagen Women’s Quartz Leather Strap Watch, 34mm marked down to only $50.75! 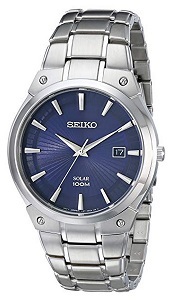 Amazon: Seiko Men’s Silvertone Blue Dial Solar Dress Watch Only $65.59 + Free Shipping!! Amazon has the Seiko Men’s Silvertone Blue Dial Solar Dress Watch marked down to $85.59. Plus clip the $20 coupon that is on the product page to bring the price down to only $65.59 + Free shipping (dropped from $106.99)! Women’s Dark Blue Leather Watch Only $39.99 + Free Shipping! TJ Maxx has this Women’s Dark Blue Leather Watch for only $39.99 + Free shipping.